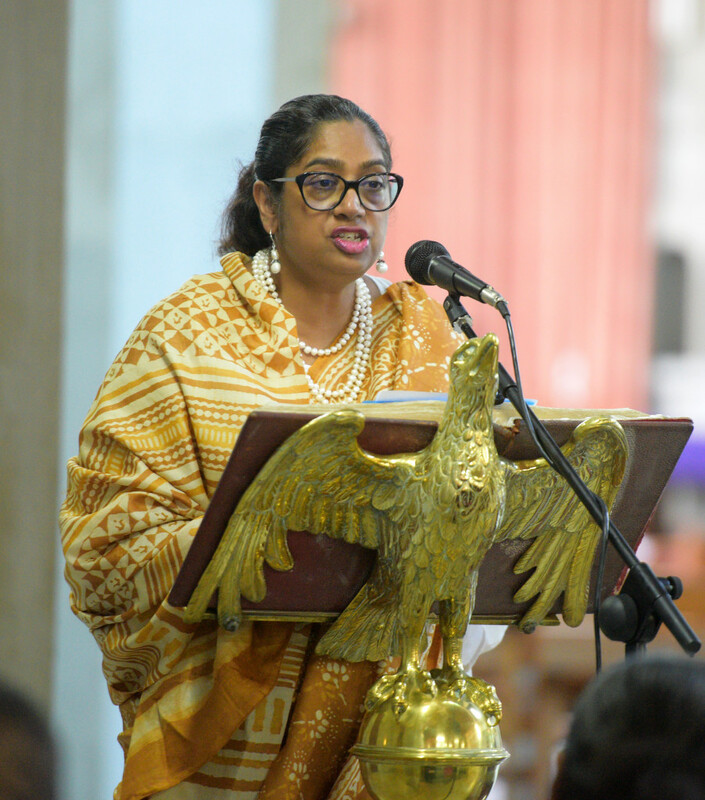 Dr. Chitralekha Massey of UNOCHR while speaking at Vigil for victims of Christchurch terror attacks and for a pacific without discrimination at Holy Trinity Anglican Cathedral in Suva on March 19, 2019. Photo: Ronald Kumar. 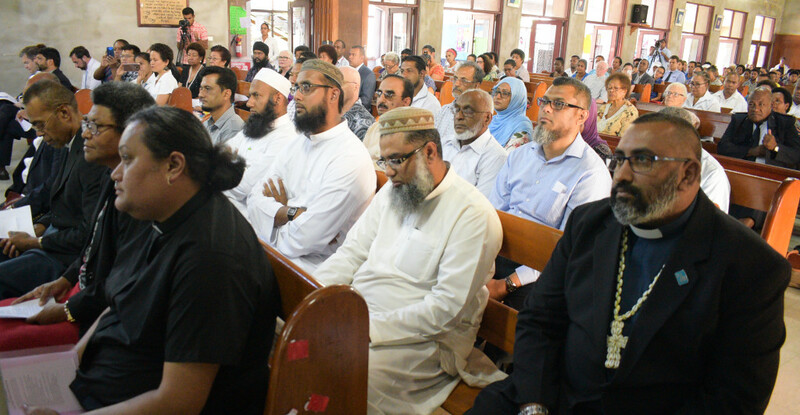 Many Political and Religious Leaders attended Vigil for victims of Christchurch terror attacks and for a pacific without discrimination at Holy Trinity Anglican Cathedral in Suva on March 19, 2019. Photo: Ronald Kumar. 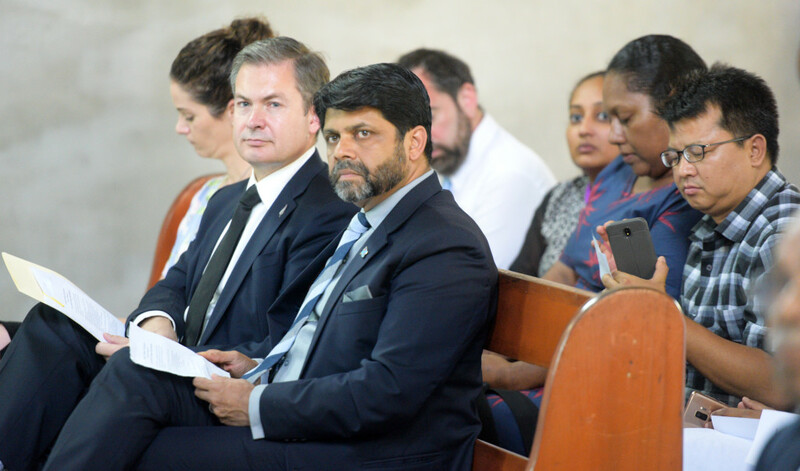 Acting Prime Minister and Attorney General Aiyaz Sayed-Khaiyum (right) with New Zealand High Commissioner to Fiji Jonathan Curr during Vigil for victims of Christchurch terror attacks and for a pacific without discrimination at Holy Trinity Anglican Cathedral in Suva on March 19, 2019. Photo: Ronald Kumar. 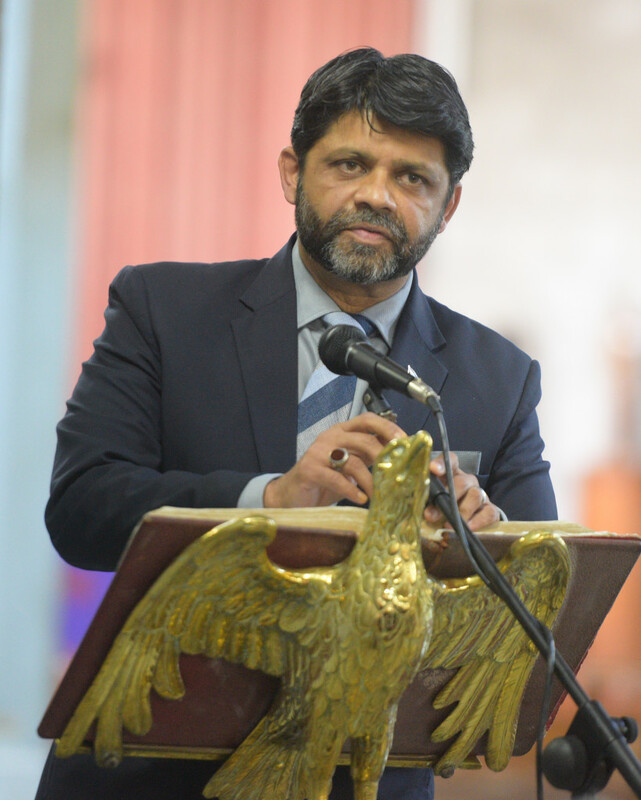 Acting Prime Minister and Attorney General Aiyaz Sayed-Khaiyum while speaking at Vigil for victims of Christchurch terror attacks and for a Pacific without discrimination at Holy Trinity Anglican Cathedral in Suva on March 19, 2019. Photo: Ronald Kumar. 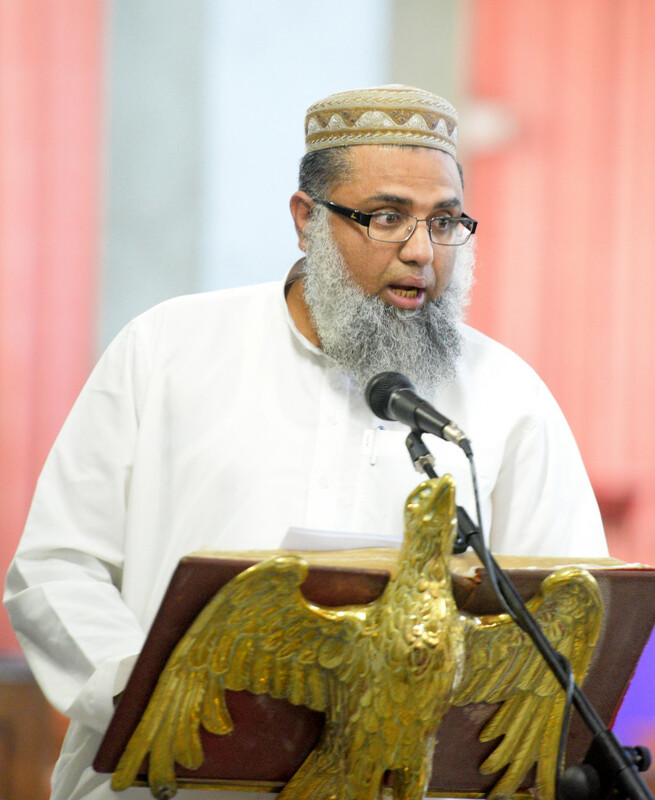 Mufti Mahboob Sher Khan of Fiji Muslim League while speaking at Vigil for victims of Christchurch terror attacks and for a pacific without discrimination at Holy Trinity Anglican Cathedral in Suva on March 19, 2019. Photo: Ronald Kumar. Rev. 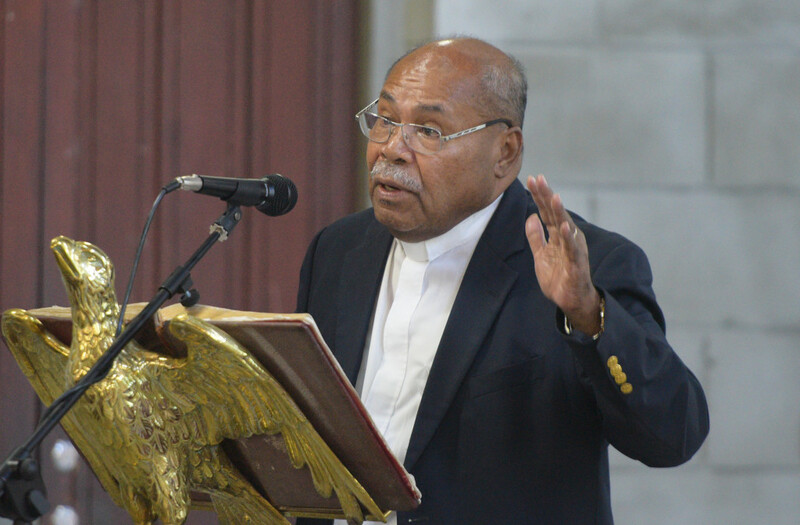 Tevita Banivanua , President Fiji Council of Churches while speaking at Vigil for victims of CHristchurch terror attacks and for a pacific without discrimination at Holy Trinity Anglican Cathedral in Suva on March 19, 2019. Photo: Ronald Kumar.